So she’s back – from outer space! Ok, so not quite outer space, but near enough! 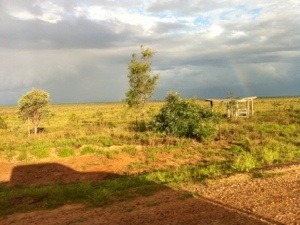 Working on two stations in Central Queensland without phone reception made it a… quiet time. I often call my phone my ‘pacemaker’ as, like most of this generation, it is on me at all times. It was all worth it though, and since I’ve now been paid from TWO different companies, I’m officially a professional ringer. I wonder if I can get some sort of badge for that? Heh. Heh. It was a long trip to the first station. What should’ve taken 8hrs, took 14hrs or so. Thanks to the recent floods we’ve experienced in Queensland, the roads were very damaged and we had to do many detours, and saw many a flooded, mosquito infested dead end. Eventually though, we got to the station. We unpacked, watered the 5 working dogs, and finally got into bed around midnight. We were up at 6 the next morning. Oh the humanity. Have you ever seen a zombie in wranglers and an Acubra? I have. She was looking back at me through the mirror that morning. Lucky I didn’t have to go shopping, they would’ve asked to check the bags under my eyes for stolen goods, they were that big! I must confess, I do quite enjoy/require a sleep in. The next morning; got dragged out of bed by Jackaroo. Moped around feeling sorry for myself. Ate some toast with just butter, since we forgot the Vegemite. Met the boss – ‘Old Mate’ we shall call him. Old mate seemed nice enough. He had picked up an English backpacker the day before, a similar age to us, and funny – especially when he swore with his posh-ish accent. It was hard not to laugh when he swore at the ‘fooking cattle’! We then set out into the paddocks to bring the cattle in from the cooler. The day before they had been mustered by chopper, and left in smaller paddocks for us to push back to the main yards. 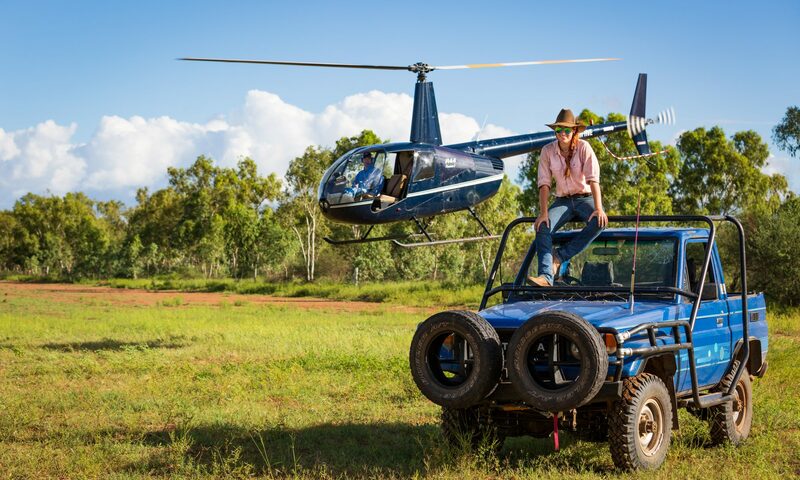 Though we generally muster on horses, this property only used motorbikes and the landcruiser to muster. Having not been experienced on a bike, I was hooning around in the cruiser hollering out at cattle to move their fat behinds. After many hours, we finally got the cattle to the yards, and drafted some of them them. We needed to separate the calves from their mothers so we could brand, castrate etc. It was dusty work pushing cattle around the yards. It was such an unladylike relief to be able to *ahem* remove the caked dirt from inside my nose. Finished drafting the cattle, and finished up for the day. Was late in the afternoon, and we cleaned up had some tea and slept like babies! Damn gurrrrl. They some fine legs. Slightly brighter after a good night’s sleep. Wake up, breakfast, let dogs out for a run. Head down to yards early to start working through the calves. We finished drafting the rest and then branded, castrated, dehorned, earmarked and needled these little fellas. Was hot, and hard work. I do believe we processed about 350 calves that day, just with old mate, backpacker, Jackaroo and myself. That day I got kicked by a cow on my left leg. I hope that beast ends up as mince. Another beast pushed through a gate that hadn’t been locked properly. It slammed against my side. 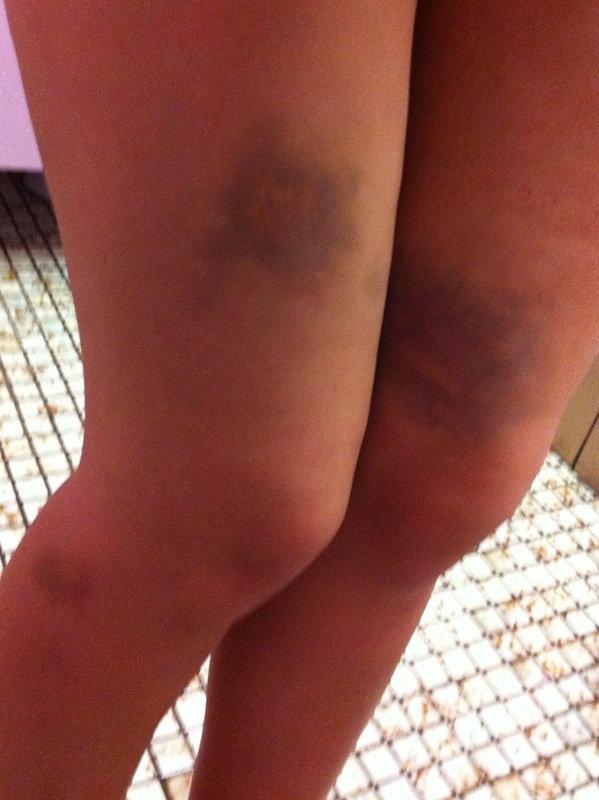 Hello more bruises. Once we’d finished the cattle that day, Jackaroo and I went to go check fences that had been affected by the floods – on the bikes! I learnt how to ride one that afternoon – and how to fall off. Add another bruise to my already black and blue legs. I don’t mind. The brusies have good stories! The rest of the time at that property was the same. Mustered one day, processed the cattle the next. By the end of the week, we had branded almost 1000 calves. After holding the backleg of the calves/weaners for old mate to castrate them, I must say. The guns are looking amazing. Des and Troy are back. Ok so maybe my right arm is a lot better than the left… That’s just from working on this property, I promise! After a week, we move onto another property nearby for just a couple of days. We mustered on 4-wheelers this time! Much better than the 2-wheelers like on the last property! So we drafted and branded etc then took the cattle back to the yards. I even got to cut a few (now) steers! It was an exciting moment for me. Felt like it was a milestone in my life.